I have two degrees in anthropology, a B.A. from Brooklyn College and an M.A. from Temple University. In my nineteen years as a field archaeologist, I worked on several Native American and ancient Near Eastern digs before my love of things “colonial” led me into 18th century American historical archaeology. I worked on excavations at Franklin Court, Head House East, Budd’s Row, Independence Hall, and the First African Baptist Church Cemetery, all in Philadelphia, as well as Richmondtown in Staten Island and the Catoctin Furnace Cemetery in MD. I produced several papers on my research. My master’s thesis, on the remains of two human infants found in an 18th century privy pit in Philadelphia, was published in the Pennsylvania Magazine of History and Biography in 1982 as “Babies in the Well: An Underground Insight into Deviant Behavior in 18th Century Philadelphia." While in graduate school in the early 1970’s, around the time of the planning for the Bicentennial, I began to combine my scholarly activities with my life-long love of historic and ethnic dress, and my archaeological interest in material culture. At the time, I was also working at the Atwater Kent Museum in Philadelphia. I had begun by managing the city’s archaeological collection, but my work there eventually included exhibit preparation, object registration, and a project inventorying the extensive historic clothing holdings of the Friends’ Historical Association. I joined the Colonial Pennsylvania Plantation as a volunteer in 1978, and there discovered what has become my life’s passion, 18th century living history. At the Plantation, I developed my skills in hearth-cooking, spinning and dyeing, cheese, butter and candle-making, historic preservation, and interpreting to the public, while also pursuing graduate level research in eighteenth century animal husbandry and eighteenth century clothing. At the Plantation, I was appointed, in succession, Cook, Clothing Consultant, Volunteer Coordinator and Curator. I conducted a season-long project in replicating 18 th century fruit preservation in 1984, the results of which were presented at the ALHFAAM annual conference in 1985. When I accepted the position of Executive Director of the Germantown Historical Society in 1984, the Colonial Pennsylvania Plantation elected me to the Board of Directors, and then to the Executive Committee. I am still on the Board of the Plantation, and am now a Life Member. By 1981, I had begun sharing with other living history re-enactors the clothing patterns which I had researched and drafted for my own use. This became Mill Farm Patterns, of which I was sole proprietor until I sold the business to Burnley & Trowbridge in 2000. My growing expertise in historic clothing had other outlets as well. I designed Barry Bostwick’s civilian wardrobe and served as a consultant for the two CBS/MGM mini-series, George Washington and George Washington, the Forging of a Nation. I designed the “Colonial Designs” fashion show, which appeared, among many other places, on the CBS “The Morning Program” in September 1987. I designed and made historic clothing for the Newlin Grist Mill in Concordville PA, for the Ebenezer Maxwell Mansion and for the Elfreth’s Alley Museum in Philadelphia, for Independence National Historical Park, and for the Chester County PA Tourist Bureau. I designed and made costumes for a theatrical production, “Mr. Peale Goes to Town”, sponsored by the University of Delaware/Winterthur Program. I also researched and designed period bed hangings and other textile furnishings, and replicated them for the Plantation, the Elfreth’s Alley Museum, and the Trenton Old Barracks Museum. I had begun studying the cut and construction of original historic clothing artifacts while working at the Atwater Kent Museum, and continued to do so as Clothing Consultant for the Plantation, examining objects at the Philadelphia Museum of Art and elsewhere. In the mid-1980’s I commenced a focused study of the 18th century clothing in the holdings of the Chester County [PA] Historical Society. This research resulted in Fitting & Proper, 18th Century Clothing from the Chester County Historical Society, published by Scurlock Publishing in 1999 as well as two presentations at the Tidy Symposia, and one at the Costume Society of America Region I annual meeting in 1997. In 1995, I moved to Epsom NH, where I am now in the never-ending process of restoring an 18th century house. Leaving the Colonial Pennsylvania Plantation was very painful, but I had hopes of finding a similar institution within commuting distance in NH. I didn't. 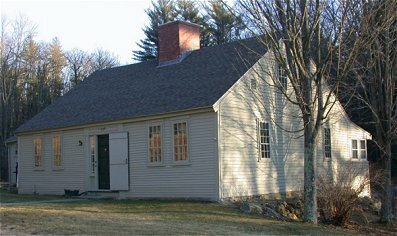 After exploring other living history opportunities here, in 1997 I started the Daniel Webster Birthplace Living History Project in Franklin, NH, under the auspices of the Franklin Historical Society and the NH Division of Parks and Recreation, which owns the site. 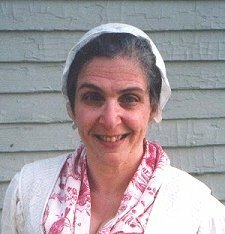 The program, which I ran until 2006, recreated domestic life in NH in the early 1780's. However, winters in NH are too long, and the living history season too short, so I branched out into theatrical historic costuming for local community theater. Since 1996, I've costumed Brigadoon, Cinderella, Peter Pan, My Favorite Year, You Can't Take it With You, Kismet, Fiddler on the Roof, The Music Man and The Crucible. In 2005, my costumes for *1776* won the New Hampshire State Theater Award for "Best Costume Design". In 2007 I opened a new business, an online-shop selling replicated 18th century clothing and jewelry based on the results of my years of research. Please visit me at The Village Green Clothier. I continue to study the cut and construction of extant original garments in New England collections, my particular interest being in 18th century American everyday clothing. Thanks to the Internet, I keep in touch with the larger world of living history daily, via the FandIWomen e-group and the RevWarCostume e-group. My passion continues for learning and doing 18th century domestic needlework and housewifery skills. However, now I enjoy teaching and sharing my skills as much as I enjoy the learning process!